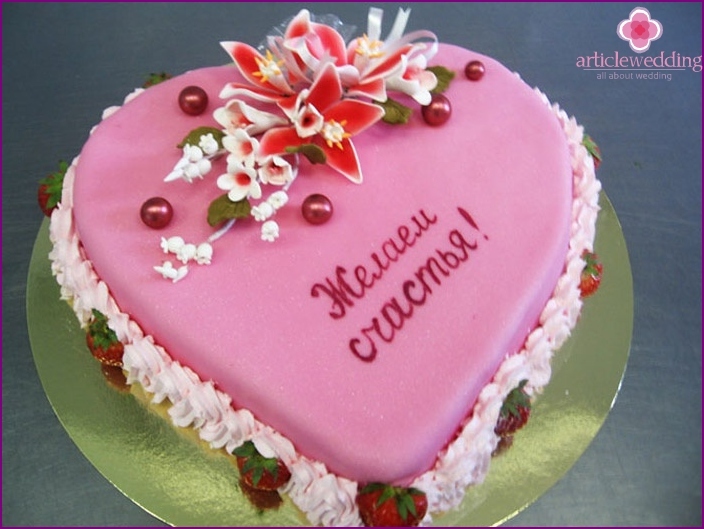 There is a good tradition - to decoratefestive cakes inscriptions, in which the guests expressed their love heroes of the occasion and respect. Wedding - a great day! So why not please the newlyweds beautiful words of good will? 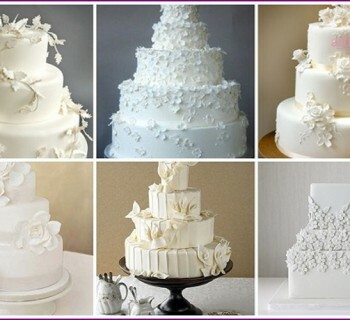 Want to find out the possible options inscriptions on wedding cakes and applying the rules as well as see their photos? 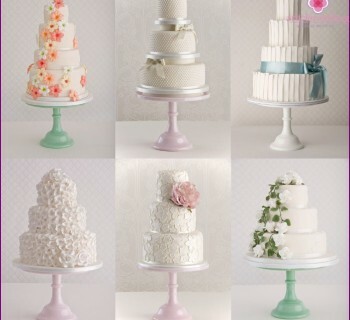 How to choose a label for the wedding cake? 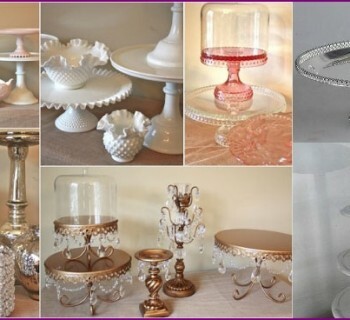 There are two main variants of greetingtexts for wedding cakes. The first - a phrase that would have mentioned the names of the bride and groom. In addition to these, the surface of the confectionery product is decorated with images of the wedding, the romantic attributes - rings, hearts, figurines of the newlyweds. The alternative - not to use the full names of the bride and groom, but only their caps. It is attractive because large letters can be seen from far away, they certainly will notice a lot of guests. The second option - the mark of awinged expressions of good wishes, happiness, love. Traditional wishes the bride and groom "Council and love", "bitter" are considered to be quite good, but a little "bored" label options. For those who love originality, we recommend to choose a different phrase, for example, in the English language. «Sweet like our love», which means "sweet as our love." What should not write on the cake? Congratulations written on the cake, it should beconcise. The surface of the confection although relatively large, but it will leave a little bit. This is not specifically designed for this greeting card. The maximum number of words - five or six more simply will not fit. So long wedding congratulations not worth writing. No need to write phrases such as: "Congratulations dear / beloved." These phrases are found on the funeral wreaths. Newlyweds, guests banquet in honor of the wedding will associate these words with another, less celebratory event. When writing should pay attention to literacy, better a few times to check the spelling in the text greetings. It must be properly placed comma (if needed). Congratulatory text should be short, no more than 5-6 words. If the words are long, try to pick up their synonyms, which consist of a smaller number of letters. Choose your color glaze, cream so that the inscription was a contrast, are well allocated on the general background. Location sentences depends only on the imagination of the artist. The main thing that it was a flat, positioned symmetrically with respect to the outer edges of the cake. The surface of the cake should be flat. If you write the words directly on the bumps, dimples, letters are spread out and bound to be inaccurate. If necessary, smooth out the surface, which will cause the text you need. In order not to spoil the line, before the application of the letters, draw a toothpick or brush on the surface of the cake line. 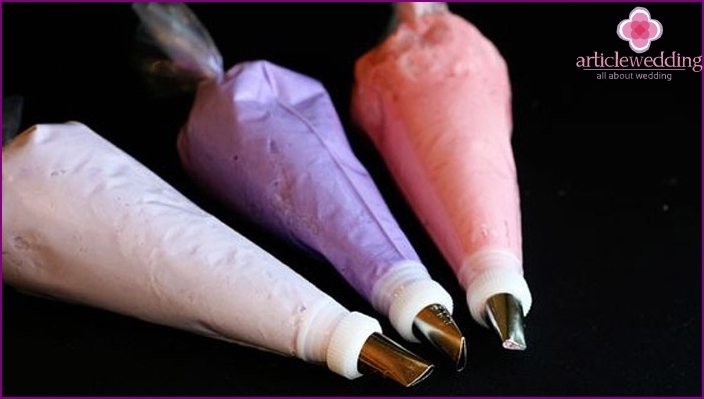 Be sure to work out in writing before you start decorating of culinary products. The words should be written without gaps - the transfer is not allowed. To facilitate the task should be to count the number of letters in greeting, and then calculate their size so as to fit the entire text without crawling over the edge. Do not forget to make a video and photos of your creativity.